Location: Beachwood Community Center, 25325 Fairmount Blvd. 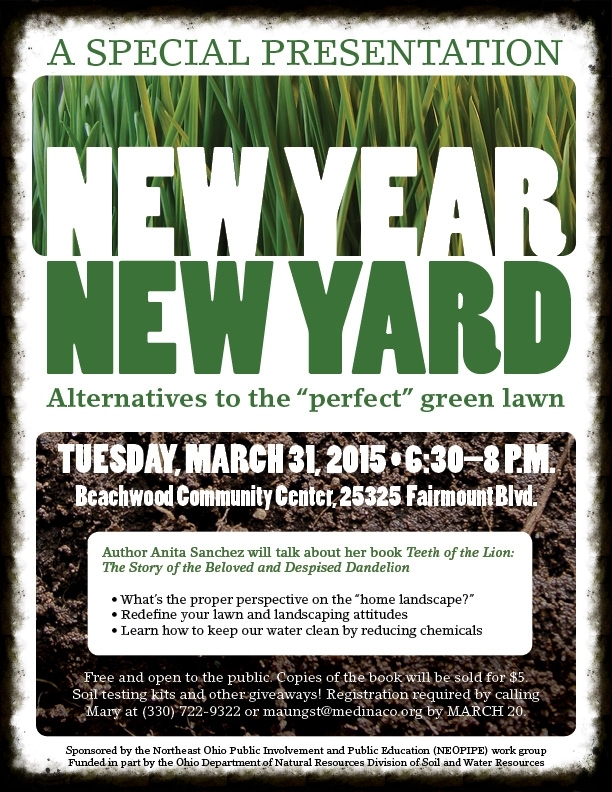 Author Anita Sanchez will talk about her book, Teeth of the Lion: The Story of the Beloved and Despised Dandelion, and discuss redefining lawncare attitudes and how reducing chemical use on our lawns helps keep our water clean. Free and open to the public. Registration is Required. Please call Mary at 330.722.9322 or email maungst@medinaco.org by MARCH 20th.